Create a website where individuals can visit to learn more about products—after website was promoted via an infomercial. Simple site structure so users can navigate with ease—with the goal of them enrolling in product. Provided client with illustration examples for review and approval. Once visual elements were approved, mocked up home page and service page. Selected compelling illustrations and edited as needed. 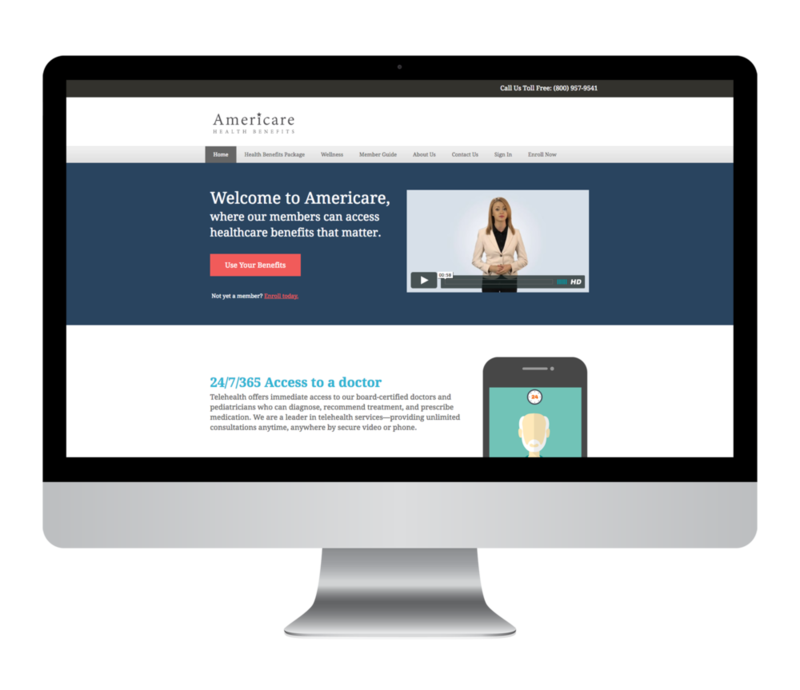 Final website presented audience with a complete overview of each service included in their health benefits package—what it is and how to utilize the benefit.